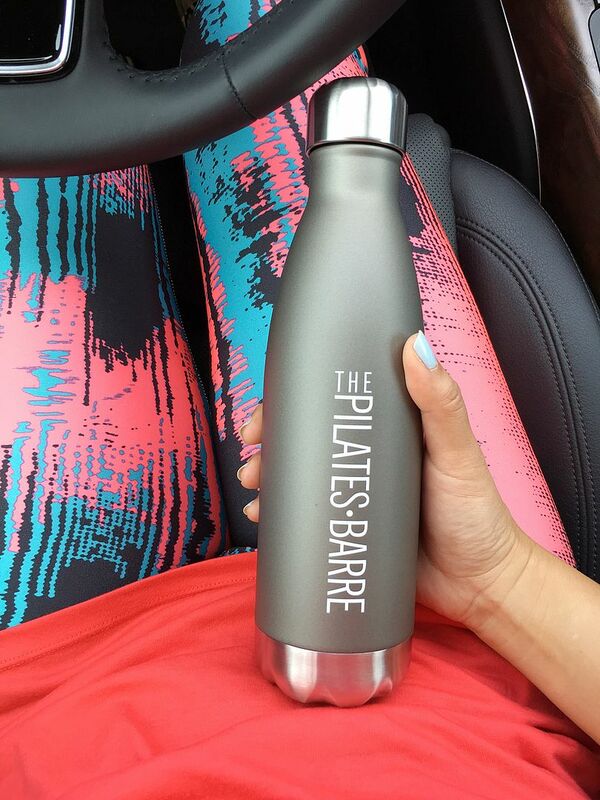 "...I'm also excited to hear how things go after your Pilates challenge this month! Will you burn out or just love it even more? TBD!" 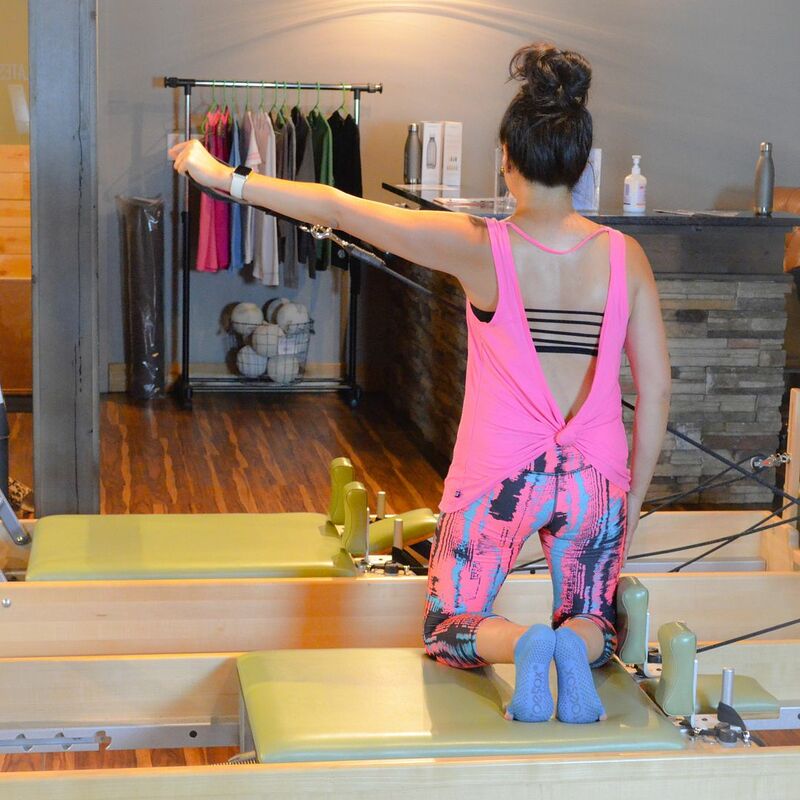 Well, the results are in and I have to say that the challenge made me not only love Pilates more but it made me love ME more! The most fulfilling part of the challenge was FINALLY being able to do the two exercises that have haunted me from day 1! They felt impossible for me to do and the fact that I was able to do them within the first 7 classes of the challenge made me realize that the possibilities were endless. I could actually be good at something! What do I mean by "actually be good at something?" Well, I feel like I've gone through life being mediocre at everything I've tried to do physically. I played tennis in high school, and while it was fun, it wasn't something I physically CRAVED. Over the summer, I never practiced. And playing tennis is not like riding a bike. You need to continually practice or you really start looking like you've never picked up a racquet in your life. I played only when I *had* to, and I think that reflected in my performance. I was just ok. I did end up making varsity my senior year but it was only by default - seniors are not allowed to be on junior varsity teams. Then, there was a super brief period of my life where the husband and I joined one other couple and decided to go to Taekwondo classes. I acquired a yellow belt and then stopped going. I was super excited to pass my test and break the board in half, but alas, I passed my test, but the board stayed whole. Again the "I am just mediocre thought" set in. But, it's my own fault. I am pretty sure I did not do any kind of physical conditioning outside of attending class once a week. And frankly, I felt uncomfortable in this setting. It was fun but not my thing. Next, I decided I wanted to run a half marathon. Seemed like a smart decision to make since I *hate* running. Half marathons take training. A lot of training and a lot of time. 5 miles is about all the patience I had for training. The weekend before the race, I pushed myself to run 10 miles and was so super psyched that I did it! But that happened ONCE. On a flat trail. Fast forward to the day of the race. I made it to mile 6 but by mile 7 I was walking. I tried to run when I could, but I finished the race in just under 3 hours. Again, I can't be upset at myself. It was my own fault for not conditioning myself. But in reality, it was silly for me to think that I could make myself love running when I knew I hated it. If you don't LOVE something, it's impossible to commit to it or be successful at it. I learned that again when I tried to run my second half marathon and trained even less and had a longer race time. Yes, I finished, but it was not pretty. All this time I've felt like I wasn't good enough at stuff. But that's not the case at all. I simply have never found anything that I absolutely LOVED doing, so the effort wasn't there. Any mediocre performance was a direct result of my lack of effort and care. So now fast forward to Pilates. I decided a couple of New Years ago that I was going to introduce Pilates into my workout routine. I have been going ever since, and have absolutely been loving it. 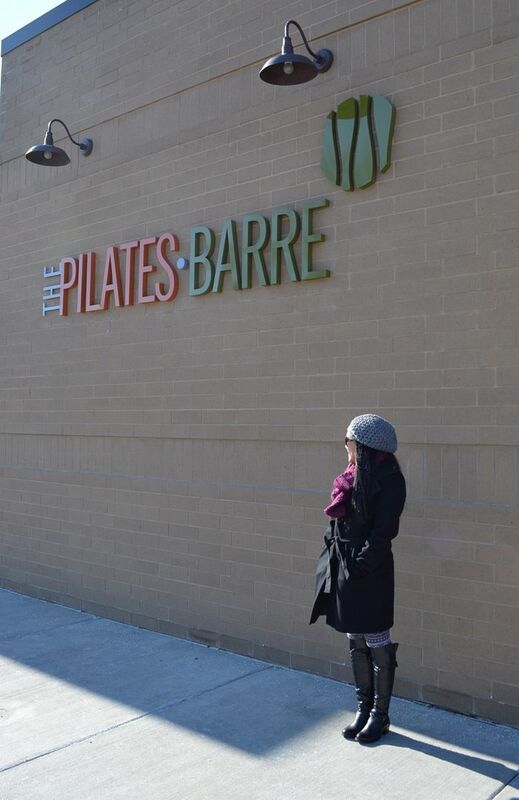 You can read all about my experience at The Pilates Barre Studio in this lengthy post here. Having done the challenge, I realized how easy it was to integrate even more classes into my weekly schedule. It was easy because I LOVE it. It didn't feel like working out. I was excited to go. I was excited to MAKE TIME to go. I felt good challenging myself during class. I felt even better after class. After I wrote my post about Pilates and the studio, one of my instructors, who is also the owner of the studio, sent me the sweetest thank you card. She was very appreciative of my blog post and said how valuable it is for feedback like that to come from a client vs. from someone who works there. Here I am thinking how thankful *I* was that she spent an hour with me after class letting me take photos for my silly blog. She ended the note with a PS that said to let her know if I was interested in getting Pilates Certified because there was a program starting in October. Pilates Certified. Pilates Certified. Hmmm. I talked it over with the husband and he was extremely supportive, right off the bat. He knows and can see how much I love it, and I think he loves that I have this space, this activity that is my own. Originally I wanted to do it strictly for the health and physical benefits, and also to gain more knowledge of Pilates as a whole. But after looking at the program details, you will be so submerged in teaching that I've decided not to push teaching off the table. Will I quit my full time job? No, that's not in the plan at the moment. For now, we'll just see where this takes me. This program is 9 months long and it is no joke. The time and financial commitment is similar to going back to college! Ok, maybe that's an exaggeration, but it's a big commitment. It's estimated to be about 450 hours, much of that is observing other instructors and then doing some of my own practice teaching. Obviously, workout time is included in all of that as well. I'll need to learn a ton about anatomy, which is the part that makes me the most nervous. I was not at all interested in biology in junior high, though, I'm guessing this will be a little more interesting to me through the Pilates lens. My final exam will be taken in Boulder, CO. How cool and official sounding is that?! I just made the decision to push for certification at the start of the month. Since then, I got my period early, had cramps so bad that it made me nauseous, got the worst head cold plus a pinched nerve in my back, locked my keys in the car and had to have roadside assistance help unlock my car in my own garage, and we found out our rat terrier has a mast cell tumor and needs surgery. So. I ended up having to cancel two trips and have been trying to recover emotionally and physically over the last few days. To say I am stressed is an understatement. That's why in yesterday's post I talked about how old man Ego likes to push us down the second we make a big decision. All that aside, I've been trying to complete all of my prerequisites. (I told you it was like college!) I needed 5 reformer classes and 1 tower class, which are easily met with my normal schedule, but I also had to schedule 5 private classes and 5 regular mat classes. Sounds easy enough except I had to research other studios who had classes that worked with my schedule to get these booked, which was quite a feat. Everything is now scheduled, which is great. My goal is to have all my prereqs completed by the last week of September and then I'll officially be deep in the program starting in October! I'm not sure what that will do to the blog. For now, I'm maintaining the same schedule until I see how the dust settles. I am also thinking about providing certification updates throughout this journey and/or starting a blog dedicated to Pilates stuff. I'm not sure yet. I feel like I should be documenting this somehow. Like for example, I took my first mat class in years and I felt like a beginner! Mat is way harder than the equipment classes. Anyway, the short story is that my takeaway from the Pilates challenge is that I genuinely love and enjoy Pilates. It makes me feel good and it makes me happy. So why not go for the happy? Thanks for reading along! I'm excited and anxious and scared, but mostly excited!!!! I'm so excited for you Caryl! It's so cool to see people doing stuff they love and inspires me. And I'm super excited to celebrate with you at the end!! What an exciting time for you. We're never to old to learn new tricks! Congratulations on taking the step towards something you love! Woo!! So glad got to read this post today!! I loved reading this update and am so happy that you have found a passion for something new!! I hope that you will keep the Pilates stuff here...it's one of the Pieces of You, right? :) Maybe you can just have a certain day of the week for Pilates talk and the other day(s) (depending on what you feel you can still post with your new life schedule) can be your outfits? But of course I'll support whatever direction you take or decision you make on that. I really enjoyed reading about your personal fitness journey and am so excited to watch the next chapter unfold here!